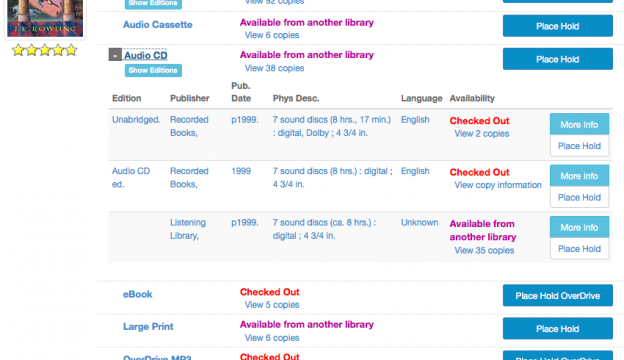 Add a view to the OPAC of multiple difference editions from multiple different sources. A full spec can be read here. This development will be modeled after a VuFind variation named Pika.